Inside: Your survival guide for disciplining a child with ADHD in a way that teaches them best and doesn’t leave emotional scars. 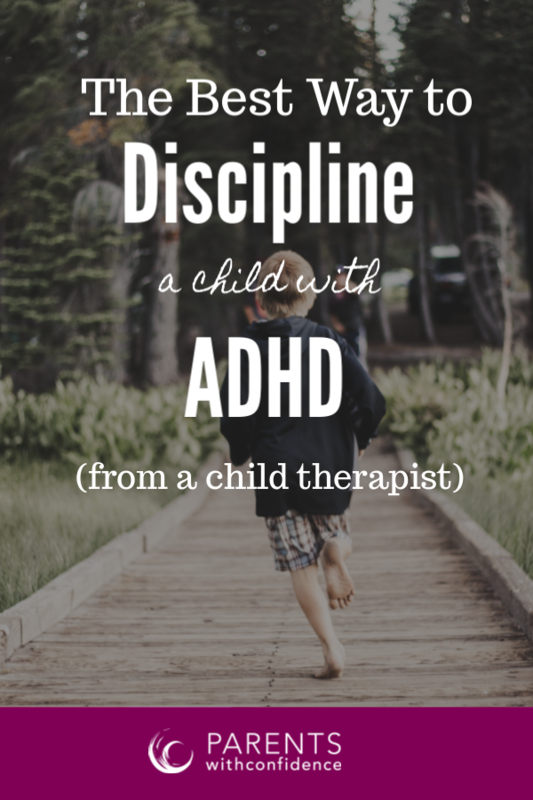 Navigating discipline when it comes to ADHD in kids is like trying to get a toddler to eat kale without bribery, it often feels impossible. Why is it so darn hard to discipline a child with ADHD? Three words. Vortex of negativity. Because of your child’s ADHD symptoms of impulsivity, distractibility, and emotional volatility many days feel like you’re under siege from enemy fire. 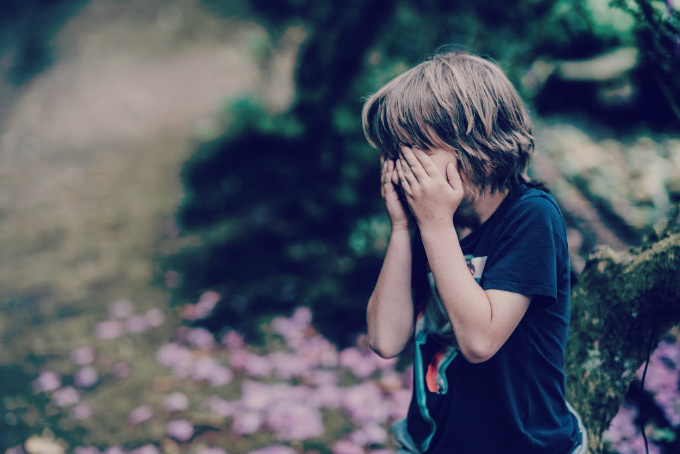 These behaviors are highly frustrating for parents as well as emotionally triggering, so it’s easy to react with impulsivity and emotional volatility yourself with threats, yelling and harsh punishments. Your harsh reactions lead to more negative behaviors from your child. Before you know it, your whole family seems to be trapped in a vortex of negativity. While the behaviors that result from ADHD symptoms in children are NOT easy to handle, it is, possible to handle them most effectively. Not only will approaching discipline with an ADHD child the emotionally healthy way help to reduce your child’s negative behaviors and increase their strengths making your life easier, but it will also lead them down the path of future success (and not detention). This approach has had miraculous results not only in my therapy office with my clients but also in my home (as I’m a proud parent of two kids with ADHD myself). If any of those ideas were mind benders, hang with me. We’re talking about how to discipline the right way which means according to what we know about how your child’s brain works when they’re being disciplined AND also with the knowledge that these kids have skyrocketing rates of anxiety/depression/drug use/incarceration which can stem from harsh discipline and ineffective punishments/criticism/shaming. Trying some new approaches can help your child avoid becoming a statistic. Somehow generations before us got the idea that the discipline gig all started with punishment…but in reality, it all starts with connection. 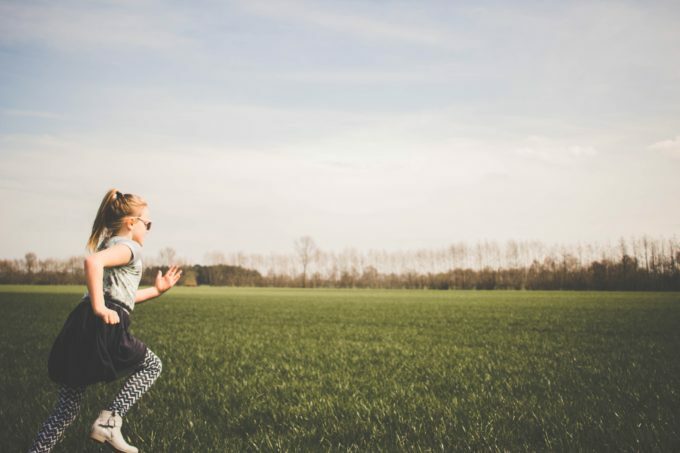 As a child therapist and parenting coach, I can honestly say that a child’s hard-wired biological need for secure attachment and close connection with their caregivers is the most overlooked aspect of raising a child. Without this basic need being met, a child will not be at their best in day to day life because emotional needs come first in the brain. If and only if a child’s emotional needs are met can they achieve full cognitive capacity or a state of hemispheric ‘integration’ as referred to by Dr. Dan Siegel and Dr. Tina Bryson. making sure your child feels unconditionally loved and accepted in spite of their challenging behaviors. A child that is connected and feels seen, heard and valued, is a child that is better able to listen and cooperate. Period. I get it, it’s not always easy to say the least, but strive to see your child through their behaviors, notice their strengths, talents, and passions. Notice what delights you about your differently wired child. Appreciate their uniqueness, spending a small amount of time with them each day to connect and climb into their world if only for a few minutes. Having this need met (in attachment theory this is known as secure attachment) gives your child the emotional springboard necessary to meet the challenges of their daily environment (and there are many for kids with ADHD). Perhaps it’s because we like things to be under our control OR the fact that parents themselves are emotionally triggered when their child acts in a defiant and aggressive manner, but for some reason, our first reaction to our child’s behaviors is to be confrontative instead of collaborative. Atypical kids are almost always smart, determined and great problem solvers. What if you could draw out these strengths by collaborating with them on problem areas and behaviors instead of approaching things unilaterally? “Doesn’t this give my kid the power though?” Quite the opposite, it actually establishes your own confidence and authority by inviting their feedback, holding your child accountable for their behaviors and also reflecting on possible solutions to the problems. Together, brainstorm future solutions and alternative reactions/coping strategies that can be utilized in the future (this allows the child to bear responsibility for their own missteps and think critically about how they can respond better in the future. It’s amazing to see what happens when you give a child the opportunity to step back and reflect on their own behavior (instead of just reflecting it back to them through nagging, yelling and criticism). They are experiential learners and have a strong sense of autonomy so letting them brainstorm what they can do differently next time and decide for themselves that they actually want to make a better choice next time will come easier than you’d think (and work WAY more effectively than you nagging them about changing). Anyone that’s dipped their toe in the pool of ADHD behavior management strategies, has got the memo that consistency is essential. This rings true even more so for kids with emotional and behavioral challenges. Due to executive functioning challenges, kids with ADHD live in the now. They have a much harder time projecting out even 15 minutes to get a vague sense of what’s to come. Due to this inability to generate a ‘mental template’ in order to know or remember what to expect, transitions, new activities/places, and unpleasurable activities can be very anxiety provoking. When the brain’s stress response kicks in from even minimal anxiety, enter defiance, and disruptive behaviors. Cut down on anxiety related to transitions or ambiguity of expectations and rules by being clear and proactive. Make household expectations clear with age-appropriate visuals with graphics/text placed where the child can access it, and review often. Parents I’ve worked with report back with amazement after starting to prepare their child ahead of time by clearly outlining expectations, enacting role-plays to literally go through the motions (with younger kids) and thinking ahead of what their child’s needs might be in any given environment (then going prepared with the tools to best meet them). Right up there with clarity comes follow-through as far as consistency goes. When your child knows what reactions and consequences to expect they will have a greater chance of internalizing family rules and expectations. You are absolutely correct, children do need consequences at times in order to learn and grow. Kids with executive functioning deficits rely on cause and effect for learning even more so then neurotypical children. 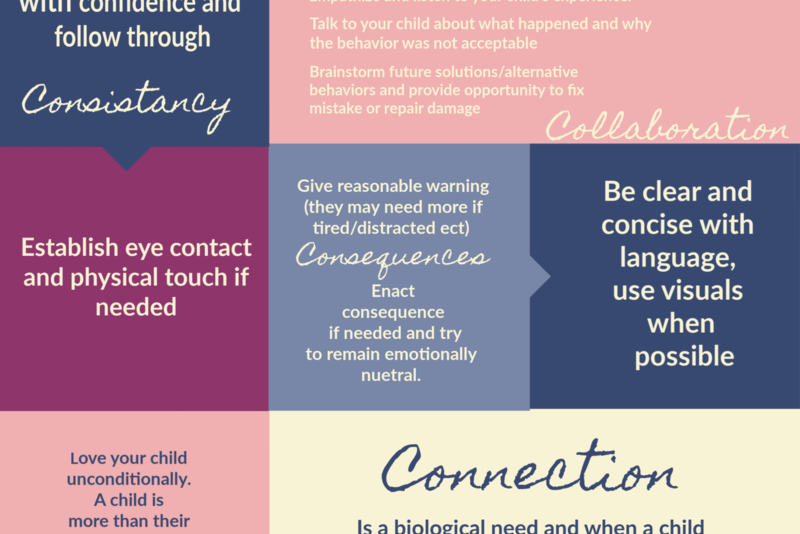 How should you handle consequences for an ADHD child? Depends on what effect you want your consequences to have. Is your goal blind obedience, or do you want to allow your child to build communication skills? Is the goal temporary behavior change through external motivators (adults yelling and threatening) or long-term behavioral change through intrinsic motivators (a child’s internalized sense of right and wrong)? Is the goal to change or ‘fix’ your unique child, or to support them in overcoming challenges and building the skills they need to meet their personal full potential? The nice thing about being on the same team as your child is that you don’t have to be the bad guy. 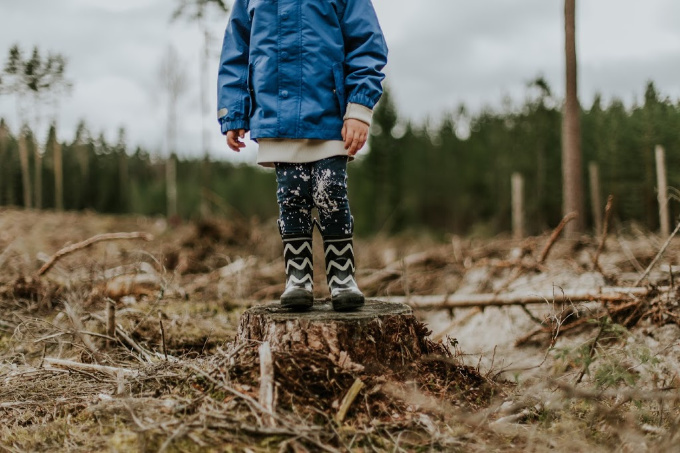 You are the leader, encourager and limit setter but you CAN set limits and deliver consequences with respect (you know, the way you’d like to be treated and spoken to), offering empathy when your child messes up. Being firm and respectful are not mutually exclusive. Natural consequences are key for kids with ADHD. Please know they are constantly eliciting and receiving natural consequences throughout their day. (impulsive behavior will make their friend move to another table at lunch, blurting in-class class invites a look of frustration from teachers, not standing still in line after three reminders provokes whispers at robotics club). The linear left brain world is constantly bombarding your ‘outside the box’ child with consequences and over time, they will learn from them. Sometimes you will have to be the one to deliver consequences, and consequences that work best are as directly related to the offense as possible. Waging a battle every time screen time is done? No screens the next day. Won’t stop using potty language at the table? You’ll have to wait until everyone’s done to come back and try again with dinner (no need to lose your cool-it won’t help and also makes you look powerless). Arbitrary discipline (aka punishments) usually have more to do with how you’re feeling emotionally in that moment and less to do with what’s fair or effective to teach the child. If you’re putting your child’s needs ahead of your emotions, you’re winning at discipline. It’s time to do better with our outside the box kids. Slowing the world is changing to view atypical kids for their strengths and possible contributions to our society, but it all starts at home. If we don’t show our child we value them through our actions and behaviors how will the world come to fully value them? You have a child that faces great challenges every day, many of these are invisible to others. You can lessen their challenges at home. Making your home a place where your child is loved and respected even at their worst is really the key to it all. With that bright kid of yours (and your advocacy), the rest will all fall into place. 1. Download the free checklist. You’ll get your download and also join the Parents with Confidence weekly newsletter with tips and insights on how to raise an emotionally healthy child. 2.Print your checklist and post in a visible area (cardstock works best!). 3.Grab your checklist whenever you need it and you’re on your way to better more effective discipline and an emotionally healthy child! Click HERE to subscribe and download!